The 25th Texas General Land Office Adopt-A-Beach Fall Cleanup will be held Saturday, Sept. 24 at 29 sites along the Texas coast. 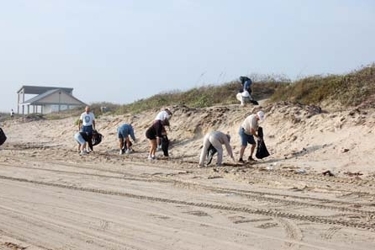 Adopt-A-Beach volunteers can register at any of 28 check-in sites all along the Texas coast between 8:30 a.m. and 9 a.m. on Sept. 24. Volunteers must pre-register for the St. Jo Island location in advance. Volunteers should wear shoes, a hat and sunscreen. Volunteers will be given data cards, gloves, pencils and trash bags. Most sites along the coast conclude the day’s cleanup with cold drinks, hot food and lots of fun. The new series of NBC’s The Celebrity Apprentice kicked off last night in a two hour premiere. Star Jones and Survivor’s Richard Hatch stepped up to be the first project managers. Both the men’s and women’s team were loaded with an array of celebrities with big egos and personalities. Conflict between leader Richard Hatch and David Cassidy was palpable. Not only did Hatch physically push and poke Cassidy, he predicted the former teen hearththrob would be one of the first to go. Meanwhile on ASAP, the women’s team, Star Jones and Lisa Rinna clashed with Rinna making snipes about Jones. Was there anything missing on the popular show? Curly hair. It was completely missing from all of the celebrities. 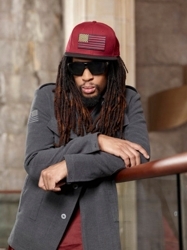 In fact, the only celebrity with any type of texture was Rapper and Entrepreneur Lil John who rocks some major locks. In fact, Lil John has some of the best locks I’ve seen. 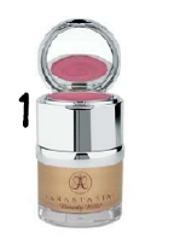 They’re well-groomed and they are multi-hued which gives them a lush look. New York, NY – March 4, 2011 – “Law & Order: Special Victims Unit” will feature three star-studded episodes this spring with actor, producer and musician John Stamos, “Law & Order: Los Angeles” star Terrence Howard and Golden Globe Award-winning actress Lori Singer as guest stars. Oscar, Emmy and Tony Award-winning actor Jeremy Irons and series alum Diane Neal will also return to make a guest appearance in the upcoming episodes. 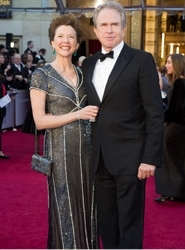 Four-time nominee Annette Bening nominated for her role in The Kids Are Alright dazzled in her embellished gunmetal Naeem Khan gown and 66-carat emerald Lorraine Schwartz earrings. Annette wore her trademark short chop hairstyle brushed smoothly off her face with lots of lift and volume right off the hairline in the front. Although sometimes Annette wears her short hair choppy and spikey, to give it glam, she wore it sleek, finished and polished. To create this hairstyle her hair was softly curled all over with pin curls positioned throughout Annette’s hair to create a more sophisticated look. The beautiful actress has well placed highlights and lowlights throughout her tresses which opens up her face and gives her a fresh and polished look. For a similar look skip the pin curls and use a 1/2 to 1″ curling iron on 1 inch sections all over the head. When hair is cool warm some pomade in the palms of your hands and finger-rake soft curls. Use an iron to curl tresses around the hairline up and off the face for a smooth and elegant short hairstyle worthy of a walk down Oscar’s Red Carpet.